Is G Suite Basic the Right Plan for Your Business? G Suite Basic is Google’s most basic, bare-bones business productivity and collaboration package. It’s low-cost and offers only limited storage, but you get full access to Gmail, Docs, Drive, Calendar and Meet. So, is it the right choice for your business? 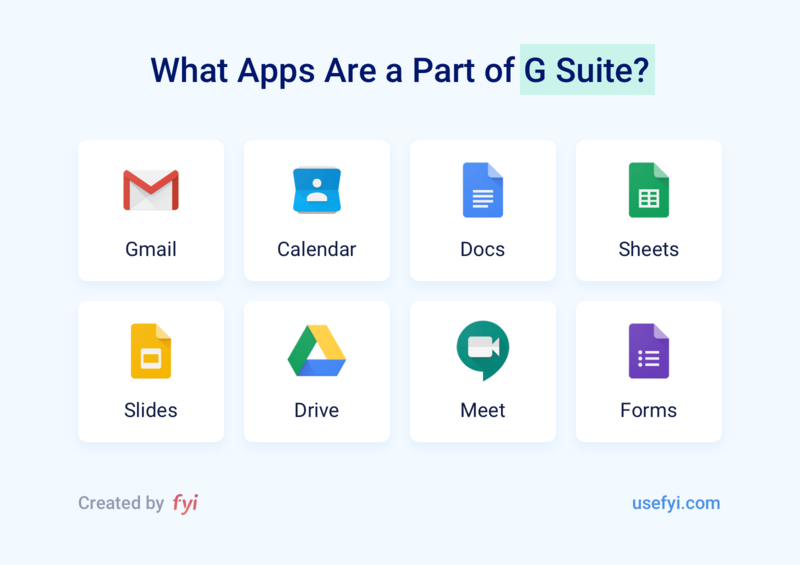 With G Suite Basic, all users in your organization get a package of email, planning, productivity, and collaboration tools. Send and receive email from professional email addresses (name@yourdomain.com), rather than from name@gmail.com. There are additional tools built into Gmail, plus many third-party integrations such as CRM, mail tracking, and more. 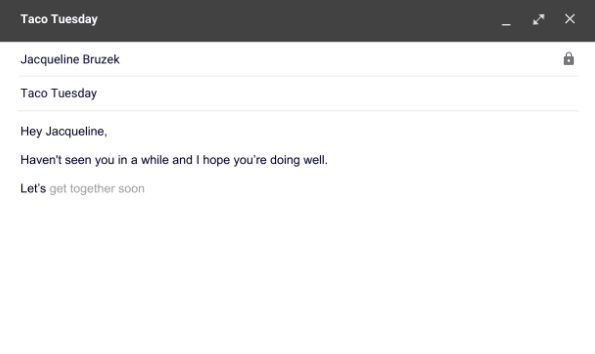 Gmail now even helps you draft your emails by predicting the rest of your sentence. With G Suite Basics, you can also set up multiple email IDs and create mailing groups. Share calendars and schedule meetings. Calendar can be used as a project management tool, while many popular project management tools and CRMs integrate with it. You can set up Hangout Meets direct from Calendar too. Docs, Sheets, and Slides together form a cloud-based productivity suite for collaborative work. Not as full-featured as the veteran desktop equivalents, they are adequate for most purposes and come with an extensive family of add-ons and integrated third-party apps. Docs allows multiple people to collaborate in real time, including making comments, altering the document text and using a built-in chat feature that allows multiple users to chat inside the document. Perhaps best of all, there’s no need to save since Docs automatically saves to the cloud every few seconds. There’s a desktop offline version that also autosaves and automatically syncs with the cloud when you reconnect. Docs can convert Microsoft’s file types to Docs files and back, so you can open a .docx file in Docs, edit it, then download it as a .docx file again. The same thing works with Excel and Sheets, Powerpoint, and Slides. This doesn’t work with Apple’s file types, so if you have a Pages file you need to export it as a .docx file or Docs won’t be able to work with it. Docs is also available on mobile. It’s more unwieldy until you’re used to it, and you need the mobile apps installed to use it. Each component of the suite — Docs, Slides, Sheets — has its own app, unlike on desktop where you just access them through your browser. If you have Drive installed but not Docs, you can view Docs but not edit them. 30GB per user of cloud-based storage for files. You can store any file types, and use Docs tools straight from Drive — open an Excel file in Sheets, for instance. PDFs, images, and videos can be viewed directly in Drive. If you upgrade from Basics to Business or Enterprise, you get unlimited Drive storage. Set up and join video meetings with just a link, from any device. Anyone with the link can join the Meet. It’s Hangouts, designed around scheduled meetings for business rather than spontaneous chats. There’s chat and filesharing inside, and it works with other platforms like Skype via the Pexip Infinity Platform. Add and remove users, set up groups, and arrange SSO and 2-step verification. Track and analyse usage using audits and reports, monitoring storage usage, file sharing, see security metrics and more. G Suite pricing is very simple, with just three plans. G Suite Basic costs $6/month per user. There are also some ways to get G Suite Basic for free. 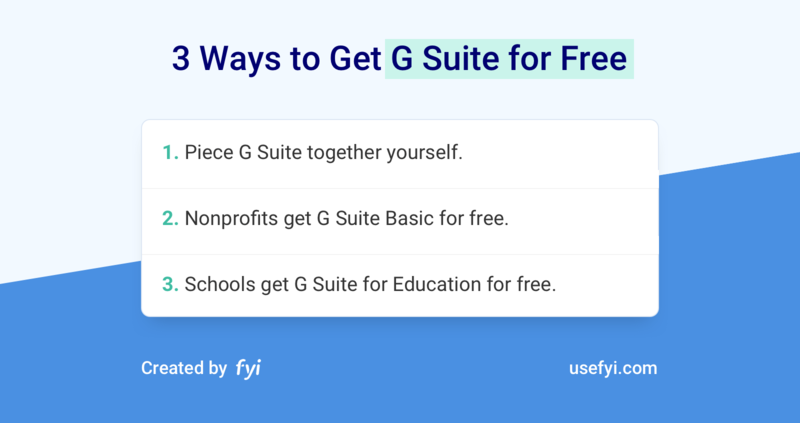 Nonprofits and schools get G Suite Basic and G Suite for Education for free, and you can together an equivalent package of services on a basic, free Gmail account yourself. The caveat of McGyvering a G Suite of your own is, once you have more than a couple of seats to do it for, you’re going to spend a lot more in time than you’re going to save in money. Once you’re at that point, it makes a lot more sense to just pay for it. Do you need a business productivity suite at all? G Suite has great features. But do you need them? After all, these are ‘powered-up’ versions of the stuff Google gives you for free anyway: Docs, Gmail, Calendar are all free. And there are plenty of alternatives, from Apple, Microsoft and a plethora of other providers. Do I need to collaborate on documents often? Do I regularly communicate with people in ways that the phone isn’t a great fit for, like international clients? Am I dissatisfied with my current email? If your answer to all these questions is ‘yes,’ you might benefit from G Suite Basic. Is your business an ideal fit for G Suite Basic? If you decide you do need a business productivity toolbox like G Suite Basic, what kind of business is G Suite Basic for? Meets lets you have more structured conversations with clients. Yes, you can pull these features together yourself for free (see above). But it makes more sense to focus on the bigger picture and just fork over the $6 a month, at least for most folks. Internal collaboration through Meets and Docs. If several team members need to inspect documents, it’s a lot faster on a cloud-based solution like G Suite. Data security taken care of. Google manages the security of everything you keep on G Suite apps. Because you have centralized control through the Admin dashboard, devices can be lost or employees can leave and your security isn’t compromised. IT dealt with. Most small businesses don’t have specialized IT staff, and when something goes wrong it can take an expensive forever to fix. With G Suite you don’t need to worry about setup or updates, Google maintains it and adding or removing users is done through the dashboard in a couple of clicks. Plus their support really is solid. Integrations. G Suite integrates with sales, marketing, project management, and other tools pretty seamlessly, so you don’t have to drop the tools you’re already using. Scalability is built in. When it’s time to upgrade, you can move up to Business or Enterprise; in the meantime, you can add new users quickly and easily and — just as important — remove users when they leave the organization. Integrations mean more when you’re looking at using a bigger, more versatile stack. Start-ups face challenges when they start hiring for specific roles beyond the core founding team, but those roles can be facilitated with applications that tightly integrate with the core G Suite Basics toolkit. CRMs that integrate with Calendar and Gmail support the transition to a real sales team taking the place of the founder calling everyone she knows. Trello or Wrike will communicate with Gmail, Calendar, and Docs to support the transition to larger projects with more participants. This cloud-based, collaborative version of the classic Office productivity suite also comes with Microsoft’s email for business, Outlook. It’s big, powerful, and does more or less everything that G Suite does. It’s the primary competitor to G Suite, most businesses will end up with either G Suite or Office 365. 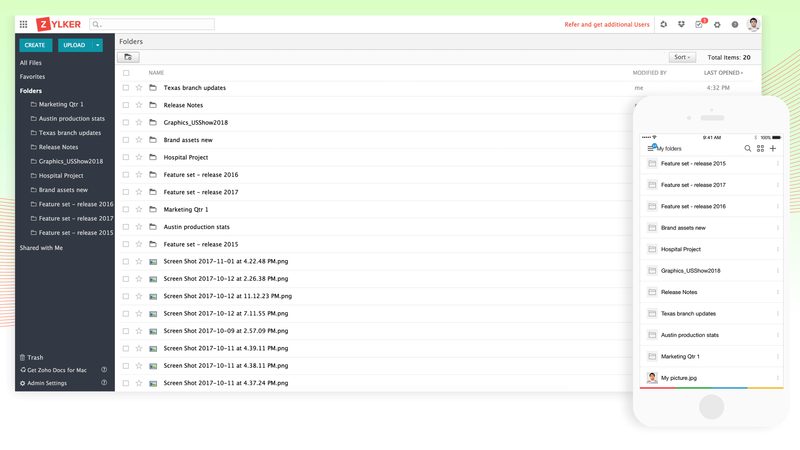 Productivity suite built into Zoho’s business software package. Most of the functionality of G Suite is replicated as part of Zoho’s end-to-end ecosystem that includes invoicing software, CRM and even an app builder. SamePage focuses more on collaboration software than productivity. It lets you build shared calendars, manage tasks, share files and manage projects. It’s priced similarly to G Suite Basic — a free version with plenty of features but limited users and storage, and a pro version with those limitations removed for $7/mo per user. Online office suite and collaboration platform, compatible with Microsoft document formats. G Suite Basic vs Office 365: Which is right for you? Google has just three plans: Basic, Business, and Enterprise. By contrast, there’s a dizzying array of Microsoft plans including three for small business and four for enterprise. 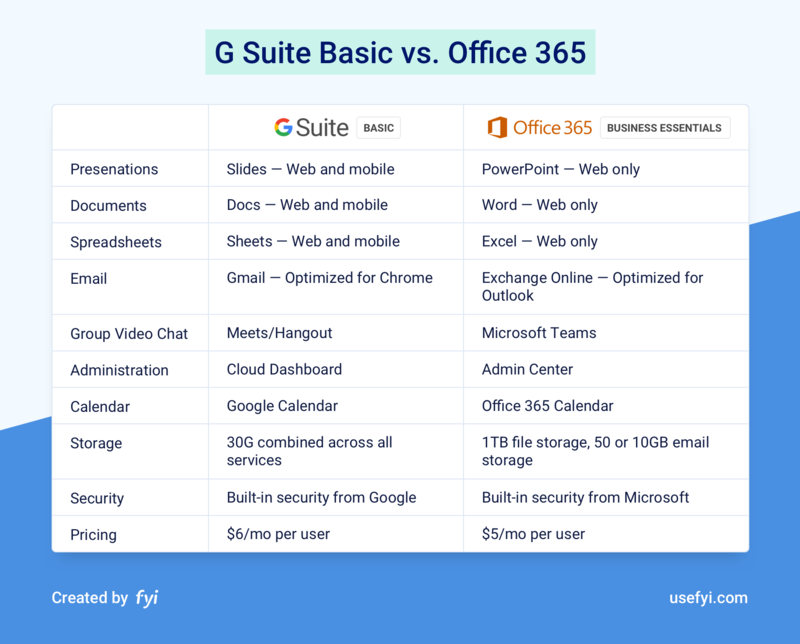 We’re going to compare the Business Essentials plan from Microsoft with G Suite Basics. The sharpest difference between the two services isn’t price. It’s the availability of the Microsoft productivity apps and the amount of storage you get. G Suite Basics gives you significantly less storage per user; Office 365 gives you web versions of Word, Powerpoint, and Excel. Though these aren’t as feature-rich as the desktop versions, they’re getting better. Be aware, though, that you don’t get the desktop apps with 365 Business Essentials. For that, you’ll need to upgrade. Availability of Office apps can be decisive in some situations even if you don’t have access to the desktop versions. If you’re going to get every document you work on in the Office version, it makes more sense to just use Office yourself. For many in fields like finance and law, that’s probably true. But for more tech-savvy industries — tech, SaaS, start-ups — it makes sense to use G Suite; everyone in those spaces lives and breathes the Google ecosystem anyway. While the decision to pick one or the other will likely come down to what your clients and team members are most familiar and comfortable with, it’s worth remembering that you might end up with an even split: it’s surprisingly common that businesses wind up using multiple, overlapping solutions. That’s why we created FYI to search and organize all your documents no matter which tool was used to create them. G Suite Basic is a great choice if you’re a small business, working in a space where Google is already the default. It scales simpler than Office 365, and there’s a huge ecosystem of third-party integrations. On the other hand, if you mostly work in an older, more technologically conservative industry, you might find you mostly use Google Docs to open .docx files — in which case you could be better served by Office 365.